Store Album Locally, an easy way to use an alternative to PS as an external editor in LR CC? One thing that holds me back from switching to CC is not being able to use an alternative external editor to PS. It looks like I could now have an album of images that could be stored locally for further/alternative processing in ON1, for example. Can anybody see problems with this? Sadly, I can't really afford the cost of the 1GB Photography Plan, and I do most of my processing in LR anyway. That probably won’t be so easy. 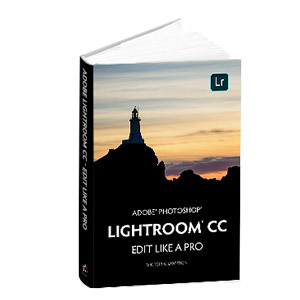 Lightroom CC is a parametric editor, meaning that the images are untouched and the edits are stored as a kind of ‘to do list’. The option to store an album locally does not mean you have full size edited images, which you could then open in another editor. And you would still need the online storage anyway. A locally stored album is a local copy, it does not replace the online original. I played around with it a little. A more accurate (but less user friendly) way to name it would be "Suppress deletion from local cache" because that's what I think it does. Normally, you can edit only the images that Lightroom CC has downloaded to your computer, so if you want to work on an album that isn't already downloaded and you're not online, you can't edit them. This new feature pre-downloads all the images in an album, and it won't throw out that album's images when it needs to make room. But I think it locally stores that album in the same way as all other Lightroom CC files, hidden in a Lightroom Library folder/package that is not accessible by other applications. I even opened that package and looked around in there for the originals for my locally stored album and they weren't in the Originals folder, so you won't have any of those files to hand off to other editing applications. I think it's only downloading the Smart Previews. There are no new commands that allow external editors other than Photoshop, and you still can't drag images from Lightroom CC into other image editors. Nothing has changed with respect to how you can work with them, except that you can pre-cache an album you know you want to work with later. That's not the behaviour I'm seeing, Conrad.....in fact the feature is operating exactly as I would expect it to. The difference perhaps is that I had previously changed the location for locally stored originals from the default (in the local library) to a designated folder on an external drive. I have one album in LRCC which I have used the "store locally" option, all the badges for that album's images in the square grid are blue (indicating the original is stored locally), and checking the location the images are indeed present in the expected dated sub-folders. As such they could indeed be accessed by other editors, though any changes made via that process wouldn't seamlessly return to LRCC so I can't personally see any benefit of doing that. As such they could indeed be accessed by other editors, though any changes made via that process wouldn't seamlessly return to LRCC so I can't personally see any benefit of doing that. And it would be the unedited images that you can access this way. 'Edit in Photoshop' sends an image to Photoshop that includes the Lightroom edits. One thing that holds me back from switching to CC is not being able to use an alternative external editor to PS. You don't want to store the edited photos back to those LR Cache folders, because they wouldn't get added to Lightroom. For other editors, I'd take a different path - save to the hard drive, open the photos in the other editor, edit them, save back over the top and add that folder to LRCC. Thanks for the replies, I can see now that this wouldn't be a solution. I must say I'm tempted to make the move from Classic to CC and use Victoria's suggestion for the photos I want to take into other editors. Apart from the comfort and convenience of having my photos in the cloud (and being able to edit them on my PC, MacBook, Galaxy tablet and wife's iPad! ), I do really like the LR CC interface.